Review | What Is New With NeoFinder? "In a nutshell, NeoFinder is like a supercharged Finder"
"Even with powerful built-in Mac OS X features like Spotlight and QuickLook, it can be so frustrating when you can't find exactly what you're looking for because you can't remember exactly where you put it. If you work with large quantities of photos, audio files, video or documents, but have found yourself struggling to find that file -- it could be in any number of offline hard drives, discs or backups -- then NeoFinder if probably what you need." We are thrilled to receive such a great review! Thank you! They just keep coming! Yet another very positive review of CDFinder. 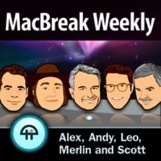 This time, it is a podcast of MacBreak Weekly. "We have 120 drives or something here... for backups and stuff. We run it through DiskTracker, which is kind of stone-age technology, to keep track of it.... CDFinder just builds a database of every file name that is on that drive, and if you are doing lots and lots of backups, you just scan these drives, and now you can just very quickly find what file is on what drive. We are just starting to use CDFinder, and as soon as I did the first scan, of my internal drive, I was like get rid of DiskTracker. CDFinder is light-years ahead of DiskTracker..."
We are thrilled to receive such a great review again! Thank you!! And yet another cool review of CDFinder came in. This time, it is from the popular bioneural.net blog. "CDFinder is essentially an asset manager that catalogues any file on any volume (CD-ROM, DVD, USB drive, etc). But media metadata are its speciality, and this indexing powerhouse has recently been extended to handle geotags and provide related functionality. "Free updates since 1996" is nothing short of impressive. I reviewed the change log and that's 54 updates since the first English version was released. Not many companies can boast of such dedication to their existing customer base. The application menu even has a "Send e-mail to author..." option, again indicating a hands-on commitment to customer support (which is free). That kind of approach wins you loyalty." The feedback from this review is very welcome to the entire team here, and we very much appreciate it! The popular blog Mac Recon has written a really amazing review of CDFinder 5.1. "CDFinder has a very clean, yet attractive, interface that works out perfectly and actually boosts its productivity. Some may even look at it as a streamlined Finder window because of how easy it is to gain access to any file within it. But all the cataloguing would be useless if it didn’t have equally powerful organizing and searching features. Fortunately, it does. CDFinder is extremely powerful. It’s capable of handling millions of files (hard to test in a computer lab environment, though), and everything seems perfect." Again, the CDFinder team is really happy to receive such positive praise! Thank you! The popular blog Ogle Earth has written a very positive review of the new GPS features in CDFinder. "So what happens when the developer, Germany’s Norbert Doerner, gets bitten by the geotagging bug? Why, he turns CDFinder into a geosearch marvel. You just know this stuff is eventually going to make it into operating systems by default, it’s just that it will take ages." The entire CDFinder team is thrilled to be valued so much by such a prestigious blog. Thank you!! The popular German digital camera web site digitalkamera.de has written a very long and detailed review of CDFinder and CDWinder. "CDWinder is a disk cataloging application with a very comfortable and intuitive handling. It has a very fast search feature and many well-thought-of features." We are very happy bout this extensive and positive review! In the current episode 51 of the wildly popular video podcast commandN.tv, producer Jeff MacArthur showcases the cool features of CDFinder. Just download this episode for free and look for yourself!